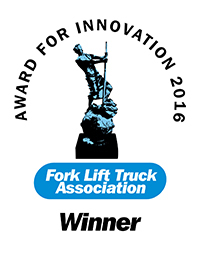 Game Changing Electric Omni-directional Counterbalance Forklift from HUBTEX. 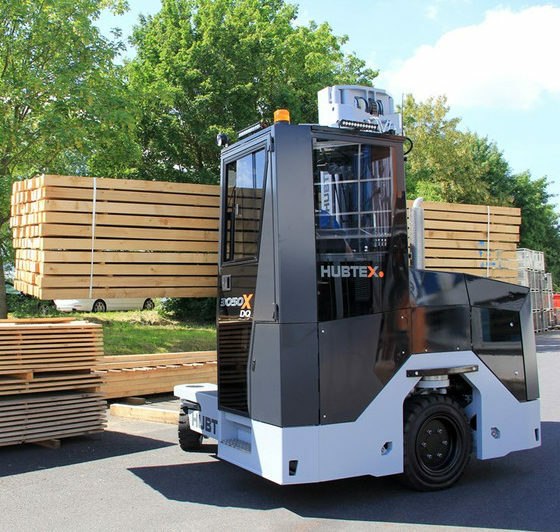 Design Storage & Handling Inc. is pleased to announce the introduction of a new 3-ton capacity HUBTEX multi-directional sideloader for the North American metal service center industry. 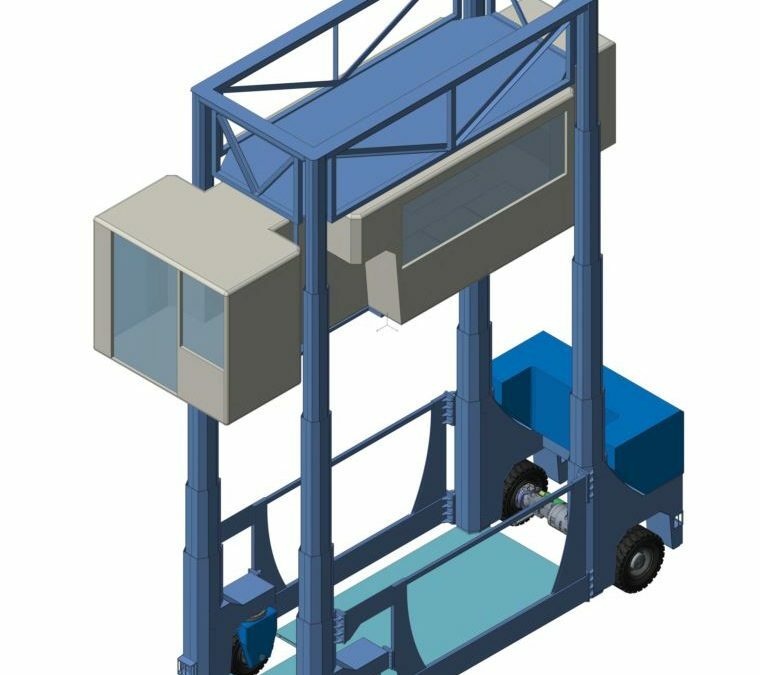 The new MSU30 Series 2240-s is operable in guided aisles as narrow as 52.5” with a capacity of 6,600 lbs and lift heights approaching 360”. 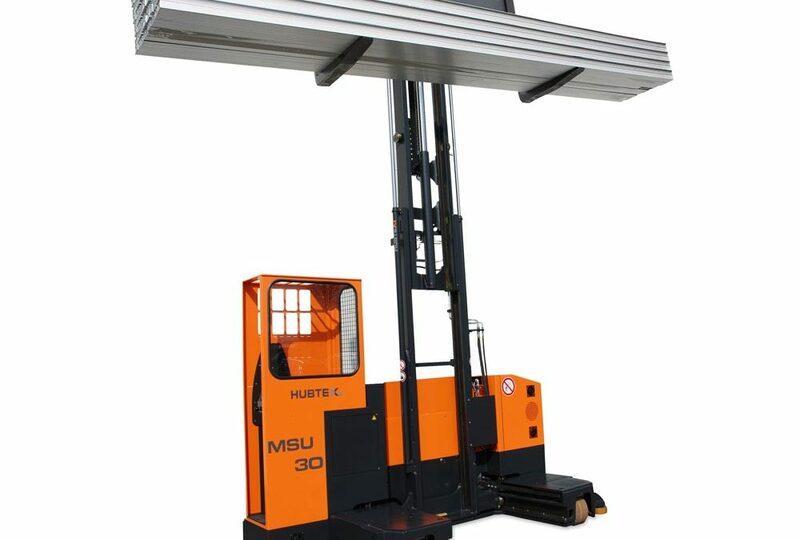 The MSU30 is available in multiple loadbed widths ranging from 24” to 72”.